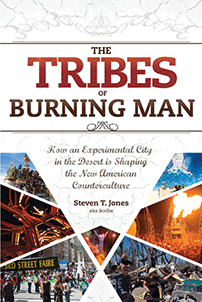 The graphic was included as the lead-in image for the book The Tribes of Burning Man: How an Experimental City in the Desert Is Shaping the New American Counterculture by Steven T. Jones. I’m working diligently on making a poster available in the near future. I’ll keep folks updated here when that occurs. As the above comment from ‘Jules’, I would also like to obtain a print option. This would looking amazing in a frame and high quality print. As a burner last year it was printed in the BRC weekly. Ditto for myself as well.. Obtaining this in poster size would be ideal! Thanks for creating this and great work! Awesome infographic! I’m strongly printing this as large as possible and bringing it for my camp this year to decorate! I’ll give you credit, rest assured 🙂 Will you be in attendance? I bet you’d love to see your work being displayed by others, no? Maybe you could come sign it for me…? I’d also love to get this as a poster! Is it available yet? If not, please let me know when that happens! Thank you for the elegant representation of so many years of Burning Man! I too would love a poster. How is the planning going? Alas, I’m unable to produce these posters for purchase. However, all are welcome to print out the larger version for your own personal use for free. 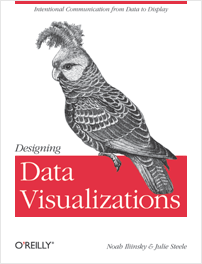 Can you distribute a PDF of the graphic? this infographic is amazing, thanks for the incredible work and time you put into making it! i’ve been going since 1999 and this really helps me differentiate all the years and themes. as per above – any chance you can post a high-res pdf or .AI of the infographic so I can print and frame it? thanks!! Fabulous graphics…but what is the woman-shaped shadowy thing in the center supposed to represent? Oh…it’s the Playa. I just figured it out. Brilliant! Any chance of getting an updated version with the last few years added? I addition to the additional years, I’m curious how the ticketing fiasco in 2012 will show up in the numbers. The piece is complete due to size constraints, layout, and ongoing ambition. Perhaps I will be able to create an additional piece, but for now this is the final edition.